Someone emailed asking how not to be bitter. Came on a day in which I was at peak of bitterness, having had meekness challenges galore [reference post: Meekness Rice Pudding]. A steam-roiling walk gave opportunity to ponder the query on not being bitter. Isn’t bitter one of the tastes we so appreciate, as in salty, sweet, sour, or bitter? Varieties of flavor seem natural gifts to enjoy and embrace. 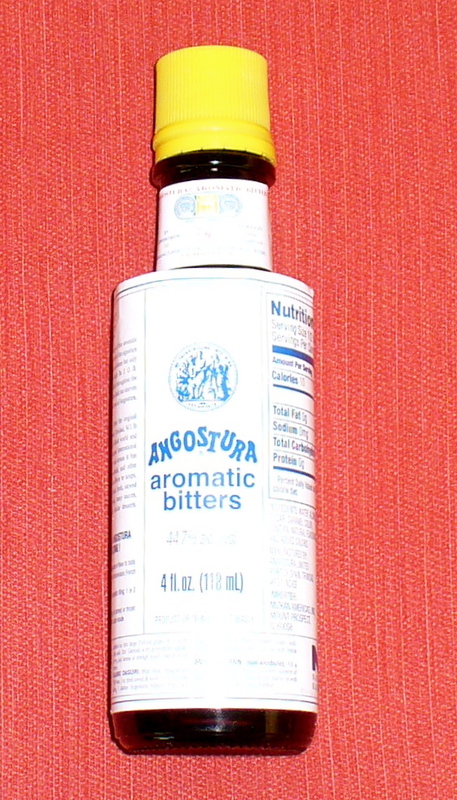 Picture a small bottle of “bitters” purchased a year ago: Angostura Aromatic Bitters, 44.7 % alcohol, product of Trinidad and Tobago. A couple of dashes enhance not only soft drinks and alcoholic beverages but also any number of culinary efforts–fruits, salads, pies, soups, gravies, fish, meat, vegetables, puddings, ice cream. It makes food more appetizing! Consider the beauty of Bittersweet, an American vine (or even the oriental variety), that delights autumn with its warm, red-orange berries. The mind climbs to thoughts of yet another reminder of that which is bittersweet. The Blessed Virgin Mary has been mentioned thus for her tremendous sorrows juxtaposed with sweet purity of love. Hmm…myrrh stirs in the thoughts. Later, some research proves it a good thought, for myrrh derives from the Arabic murr, meaning bitter. It is the bitter, fragrant gum resin mostly found in the Near East, used to heal wounds, to burn as incense, and to embalm. Thus far, bitter embodies definite positives. Perhaps we should embrace bitter? Surely we will find something about “bitter” in the Bible. One immediate reference is Hebrews 12:15: See to it that no one be deprived of the grace of God, that no bitter root spring up and cause trouble, through which many may become defiled. Despite the advantageous qualities of bitter, there is the flip side, as always. Too much Angostura would ruin food. Bittersweet Vine is invasive, re-rooting easily and choking out foliage–even trees–in its way. The bitter sorrows of Mary anyone can relate with, to some degree; and the perfumed myrhh gifted to the Infant Jesus has its counterpoint in the adult Christ’s passionate suffering and death. Perhaps we should consider bitterness as a quality, a reality, to be utilized–as in dashes of Angostura, or in safe amounts as in bitter medicine to heal woundedness, or of a beautiful vine appreciated yet constrained from taking over our inner and outer landscape. Not to allow a root of bitterness take hold, spring up, or cause trouble….But perhaps we must embrace the reality of bitterness as a means to heighten our sentient and spiritual awareness of what it is that troubles, sorrows, wounds, and chokes out our very love of life, a healthy and holy love of self and others, and above all, our love of God in Himself. Once we face the reality that bitter is part of life that God has allowed, such as the bitter weeds that continue to pop up, perhaps it is easier to handle a little bitterness knowing that there is always goodness to follow. Yes, a little bit of bitter makes the good seem all the better!